Chris Opalinski is Chair of Eckert Seamans’ Litigation Division. He maintains a litigation practice involving a broad range of commercial disputes with a concentration in the area of construction law. Chris represents owners, developers, design professionals, prime contractors, subcontractors, material and equipment suppliers, and sureties in both the public and private sectors, nationally and internationally, on all types of construction claims before various state and federal courts and arbitration panels. He has extensive experience drafting construction contracts, advising on contract administration and project management matters, and handling cases involving all types of direct and indirect cost claims, including claims for delay, acceleration, loss of productivity, default, termination, extra work, defective specifications, design errors and omissions, and differing site conditions as well as product defects/failure cases, bid protests, mechanics lien, and payment and performance bond claims. 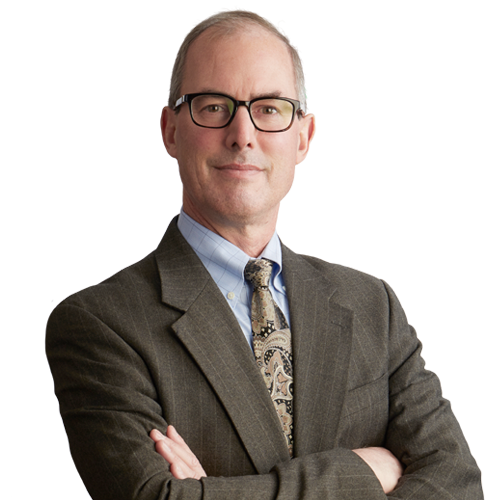 Chris also has significant experience in a variety of commercial and business litigation, including misappropriation of trade secret, unfair competition, breach of contract, fraud/misrepresentation, breach of fiduciary obligations, and real estate disputes. Chris serves on the firm’s Executive Committee and is a member of the firm’s Board of Directors. A $21 million recovery, including $20 million in punitive damages, after a three-week jury trial in federal court on behalf of a lessor of underground coal mining equipment against its general liability insurance carrier relating to the loss of the mining equipment when the mine was shut down and then flooded. Representation of the mechanical subcontractor in a nine-month trial (the longest trial in the history of Allegheny County) over a delay and impact claim relating to the construction of a continuous galvanizing line, resulting in a $3.6 million recovery and a $460,000 award of attorneys’ fees. A $3.1 million recovery after a several week jury trial in federal court in Ohio on behalf of hydraulic shear manufacturer regarding a misappropriation of trade secret claim. A $2.8 million recovery and a $1.9 million award of attorneys’ fees, penalty interest, and regular interest on behalf of the general contractor in a month-long trial against the Board of Public Education of the City of Pittsburgh relating to the construction of the Westinghouse High School. A $2.4 million recovery and a $850,000 award of attorneys’ fees on behalf of a pipeline contractor against a gas utility on a claim involving the breach of three blanket utility contracts and an oral settlement agreement. A $2 million jury award against the City of Youngstown, Ohio, relating to the city’s misappropriation of ballast and slag in connection with a client’s purchase of an abandoned rail line. A $1.5 million recovery after a several week jury trial in state court in Pennsylvania on behalf of an ammunition manufacturer on a misappropriation of trade secret claim against two former employees and a competitor. A $750,000 recovery on behalf of the general contractor before the Pennsylvania Board of Claims for the delay costs associated with a five-month suspension of work and a differing site condition/superior knowledge claim relating to unsuitable soils, together with an $800,000 award of attorneys’ fees, interest, and penalty interest. A $600,000 recovery before the Pennsylvania Board of Claims on behalf of the general contractor relating to a wrongful termination by the Department of General Services on the Physical Therapy Building at Slippery Rock University. A two-week jury trial involving a delay and extra work claim on behalf of the general contractor relating to the construction of a luxury high-rise condominium complex in Pittsburgh, Pennsylvania, resulting in a $550,000 award by the jury. A $400,000 recovery after a jury trial in Ohio on behalf of the general contractor in an architectural malpractice claim against a design professional relating to a design build subcontract for an ice hockey complex for a prep school in Cleveland, Ohio. The successful dismissal on summary judgment of a $10 million fraud claim against an estate relating to an alleged improper accounting treatment of an off balance sheet asset. A multi-million dollar settlement on the eve of arbitration in favor of a procurement management company against one of the nation’s largest automotive parts suppliers in a claim for wrongful termination of a long-term supply contract and misappropriation of intellectual property. The successful dismissal on summary judgment of claims by a former officer and shareholder of a closely held family business relating to a claimed oral agreement for the payment of bonuses in the amount of $5 million and a breach of fiduciary obligation claim in excess of $15 million relating to the enforceability of a stock transfer restriction on previously acquired shares after a threatened sale of the minority shareholder’s interests. A defense verdict after a trial in federal court in Houston, Texas, on behalf of an international port crane manufacturer relating to the collapse of a crane at the Port of Houston. A defense verdict on behalf of a general contractor on a marina project after a week-long jury trial in federal court in Erie, Pennsylvania, in connection with a wrongful termination claim by the assignee of a subcontractor. Representation of the Commonwealth of Pennsylvania before the Pennsylvania Board of Claims relating to the State Capitol Addition project involving delay and impact claims by the design professional, five separate prime contractors, numerous subcontractors, and a claim of first impression for indemnity and contribution for payments made for delays and disruptions. A loss of productivity and lost profits claim in excess of $85 million on behalf of an industrial dismantling contractor relating to numerous steel mill dismantling projects across the eastern part of the United States. Representation of an Argentine engineering, procurement, and construction (EPC) contractor in connection with various direct and indirect cost claims asserted on hydroelectric power plant projects in the Philippines and Malaysia. Prevailed in the denial of a motion for preliminary injunction on behalf of the structural steel fabricator for Heinz Field, which alleged participation in a pass-through scheme to circumvent the disadvantaged business enterprise (DBE) requirements of the contract and which, if granted, would have stopped the construction of Heinz Field. A $200,000 recovery after a jury trial in state court in Pennsylvania on behalf of a general contractor against a municipal sewer authority involving the validity of sole source equipment specifications which caused a nine month project delay in the shop drawing approval phase and an assessment of liquidated damages by the Authority. The jury also returned a finding of bad faith, allowing the recovery of penalty interest and attorneys’ fees. “Using Flowdown Clauses for Risk Allocation”	, Construction Executive Magazine, February 2015. “Controlling Electronic Discovery Costs: Cutting “Big Data” Down to Size”	, Breaking Ground Magazine, March/April, 2013. “Understand the No Damage for Delay Clause, Part 1,” co-author, Construction Business Owner Magazine, November 2015. “Contract Corner: No Damages for delay clauses,” Eckert Seamans’ Construction Law Update, Spring 2015. “Contract Corner,” co-author, Eckert Seamans’ Construction Law Update, Fall 2014. “Arbitration or Litigation: Selecting the Best Method for the Resolution of Your Construction Dispute,” and “Providing Greater Protection to Owners in Construction Disputes,” Construction Specifier. “The Owner’s Coordination Responsibility on Multiple Prime Construction Projects,” Tri State Real Estate Journal. “Claims Detection, Documentation and Avoidance on Renovation Projects,” Commercial Renovation magazine. “Coordinating Multiple Prime Construction Projects: The Contractor’s Perspective,” Associated Builders and Constructors magazine. “Payment Bond Claims and Mechanics Liens,” published in Construction Litigation. “An Ounce of Prevention: Practical Advice on Improving Your Subcontract” and “Schedule Impact Analysis for Attorneys,” Center for Management, Development and Training. “Alternative Dispute Resolution,” co-presenter, Eckert Seamans’ Continuing Legal Education (CLE), August 2011. “Alternative Billing Arrangements,” co-presenter, Eckert Seamans’ CLE, August 2010. Frequent lecturer at area colleges and before numerous trade and professional organizations, including presentations to Allegheny Community College, Pennsylvania Bar Institute, Allegheny County Bar Association, American Arbitration Association, TriState Construction Users Council, Project Management Institute, Illuminating Engineering Society of North America, Pennsylvania Institute of Certified Public Accountants, Engineers Society of Western Pennsylvania, National Business Institute, Construction Specifications Institute, and Associated Builders and Contractors, Inc.